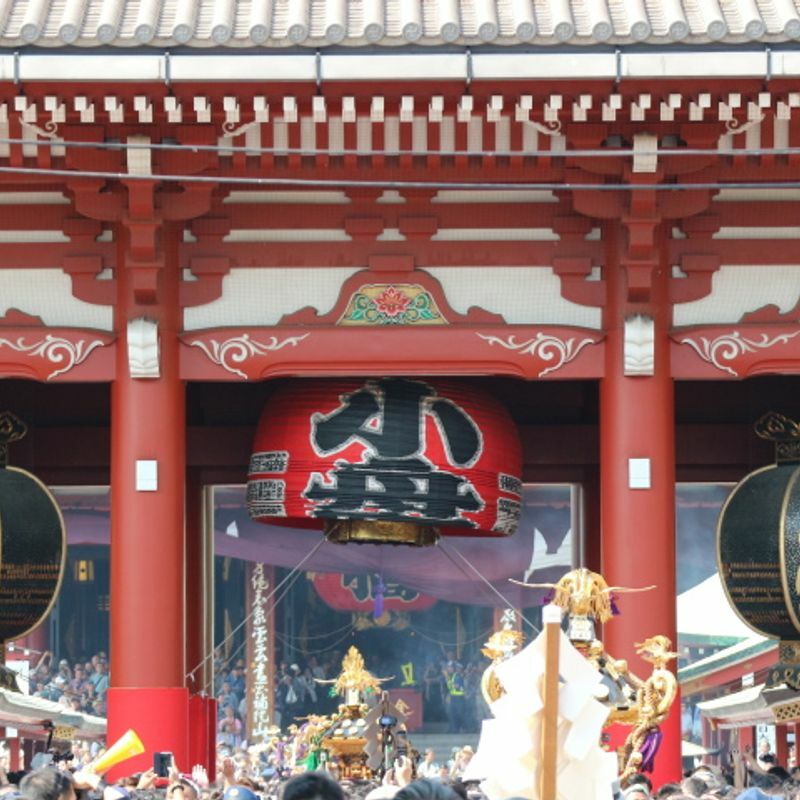 Asakusa festival Sanja Matsuri (三社祭) today entered the second of three days of festivities for the 2017 edition. 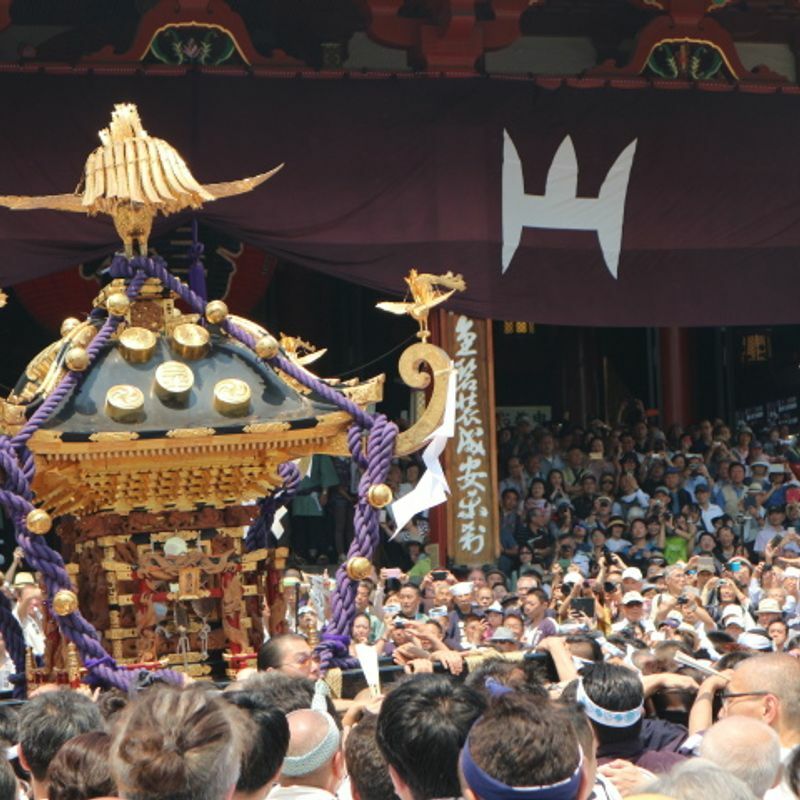 As is the custom in this festival of some 700 years it was the Saturday that saw the introduction of the much celebrated and much fawned over mikoshi, those portable shrines charged with carrying the fortunes of local business and the hopes of a fun afternoon for those who come to carry, direct, and gawp at the Lilliputian (comparatively) but dead-weight heavy objects of reverence. 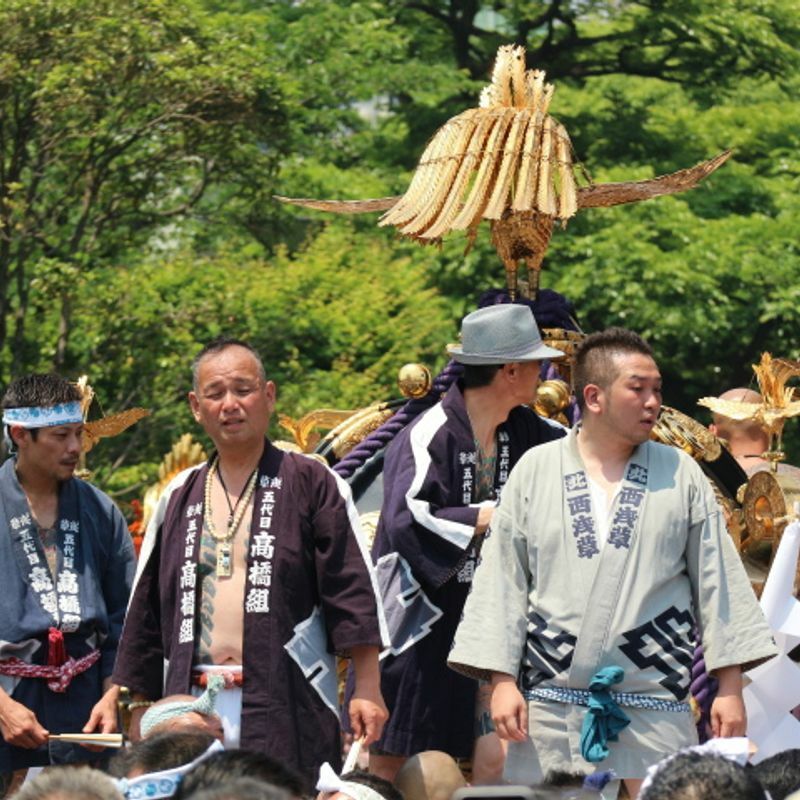 Sanja Matsuri is one of Tokyo's cultural festival big hitters. 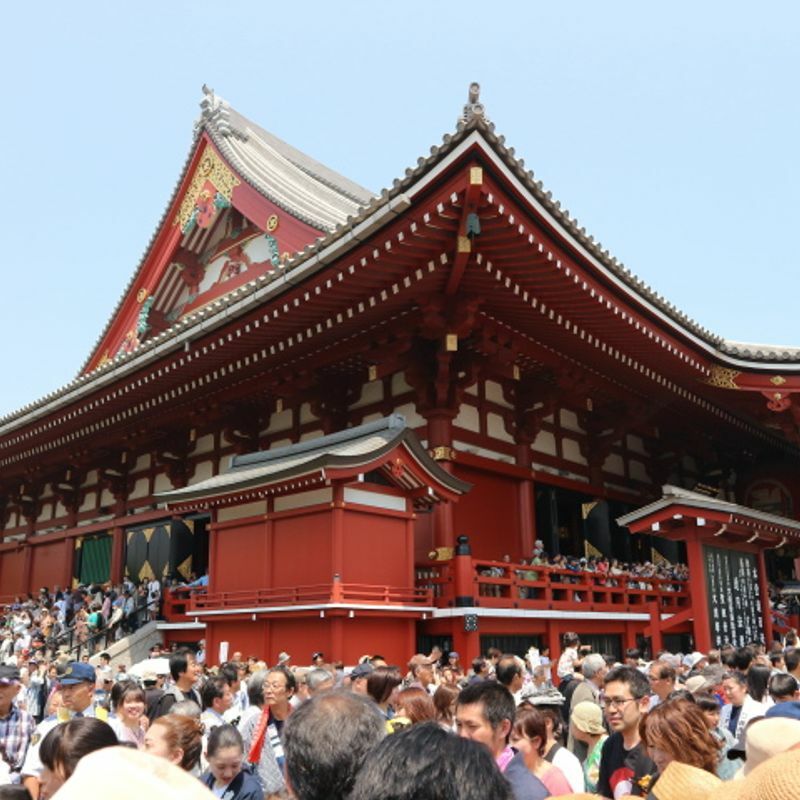 And it is big; over the course of three days the Asakusa streets will be left to dust themselves off after have been trampled on by over a million visitors. 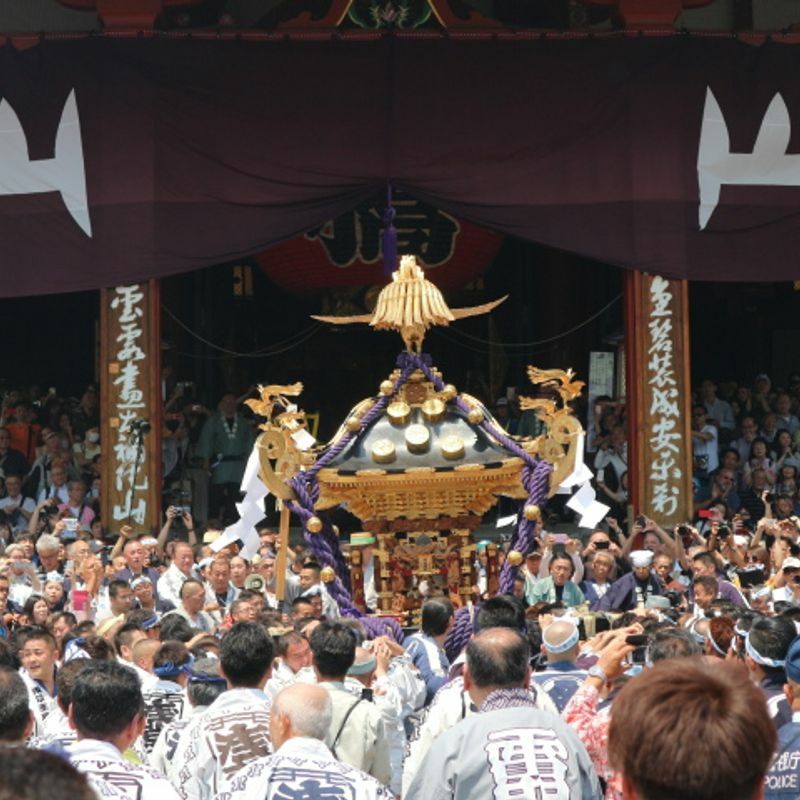 The festival has a reputation for being rowdy like it was something to be surprised about. It shouldn't be. 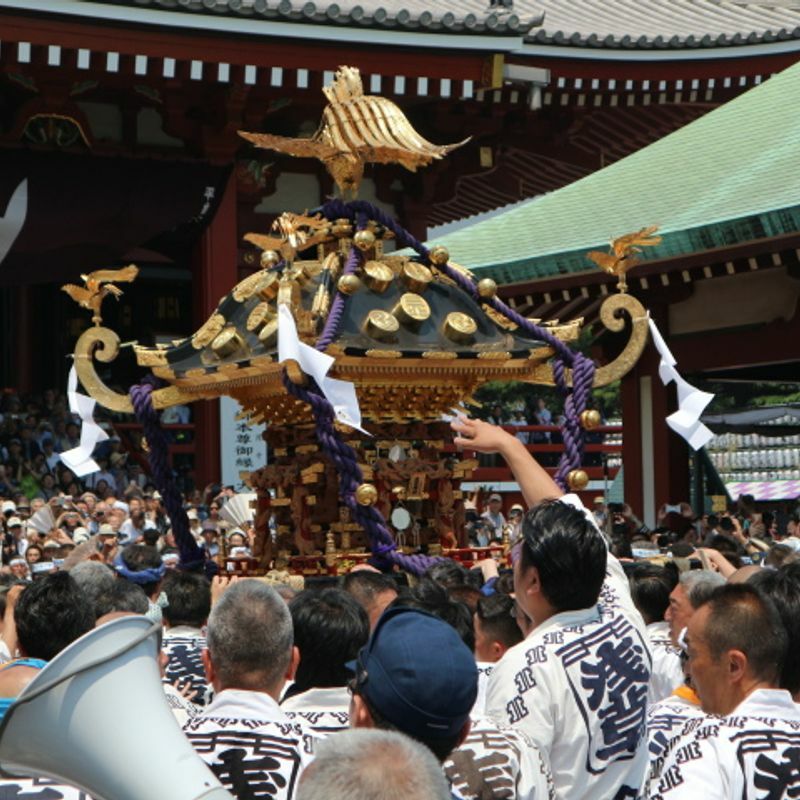 The carrying of mikoshi has never been a dainty affair, and it's one that requires consumption of booze for most of those that are involved in the carrying as it's the only way to cope with the dull pain that the “portable” shrines inflict. 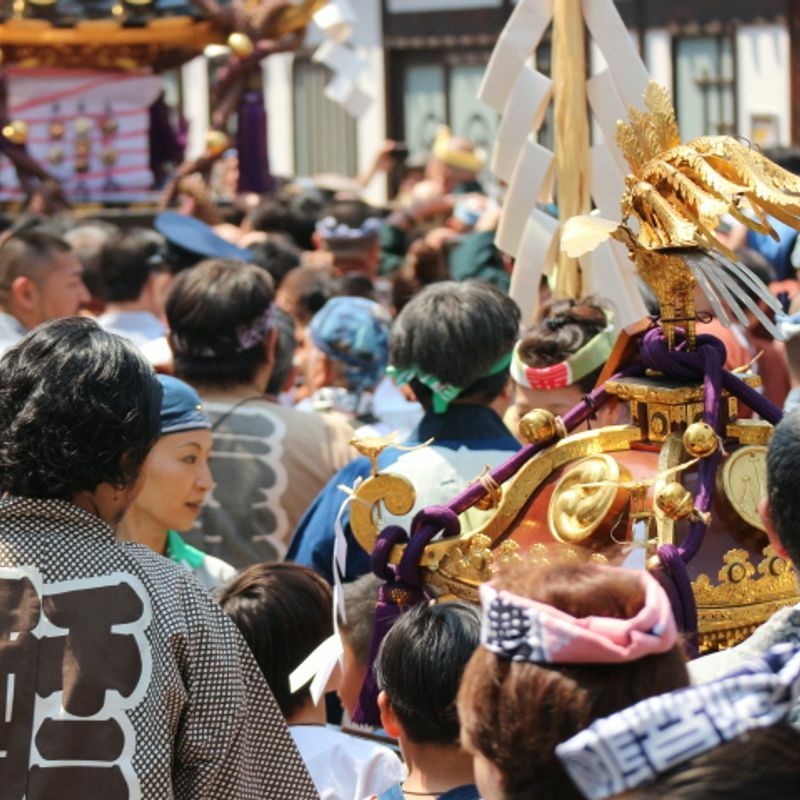 If you've ever been to a local mikoshi-based matsuri in Japan, you'll know how much revery just one or two of these things can generate. 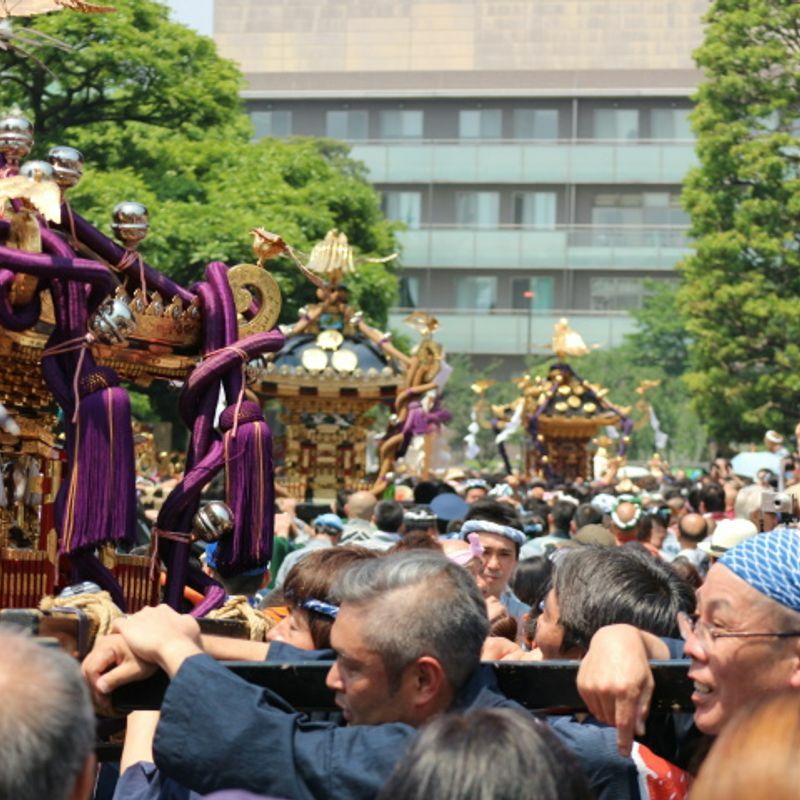 Saturday at the Sanja Matsuri sees 100 of them ... in a part of Tokyo already the photo subject for thousands of lenses outside of festival hours. 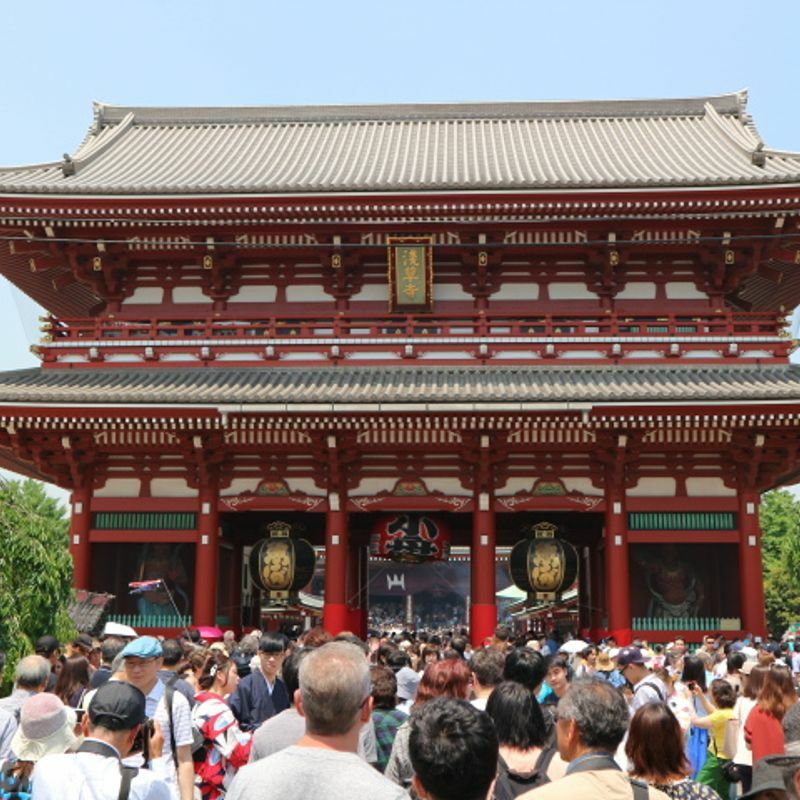 It gets crowded. 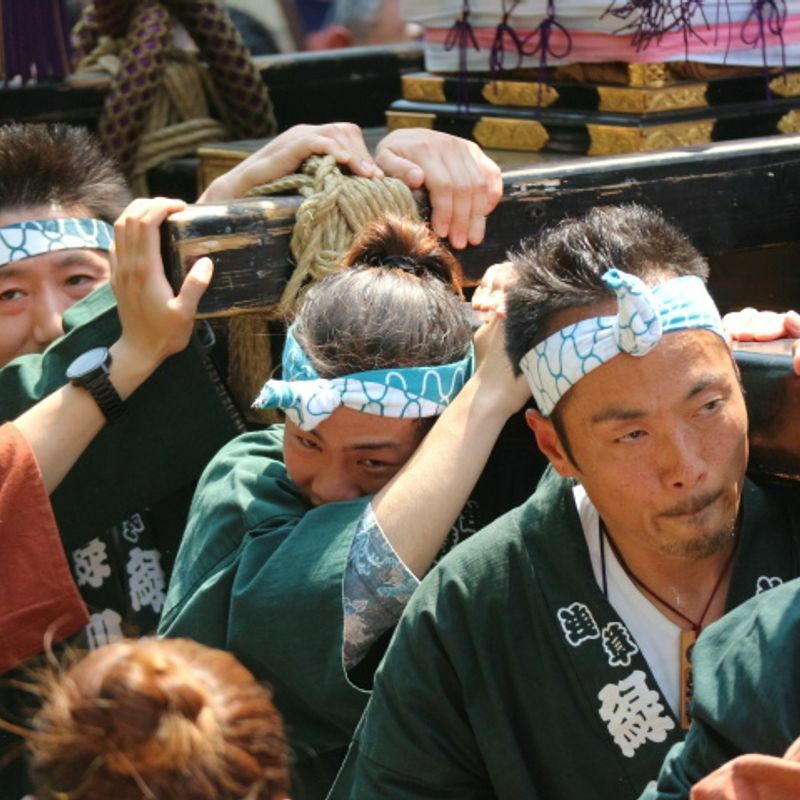 In the belting heat crowds like this can irritate. 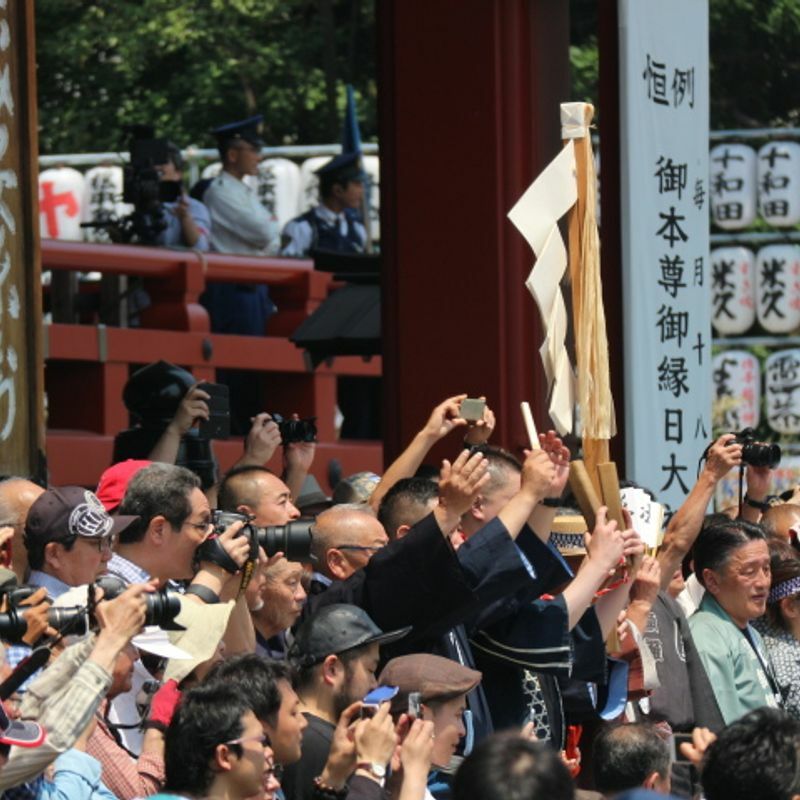 Some people still haven't gotten the message that selfie sticks have long since ceased to be funny, and then there are the sun umbrellas and the photography-enthusiast granddads who've brought along step ladders like they're in the press core. Tensions frayed when one disgruntled onlooker barked at one such culprit to get down from his perch. 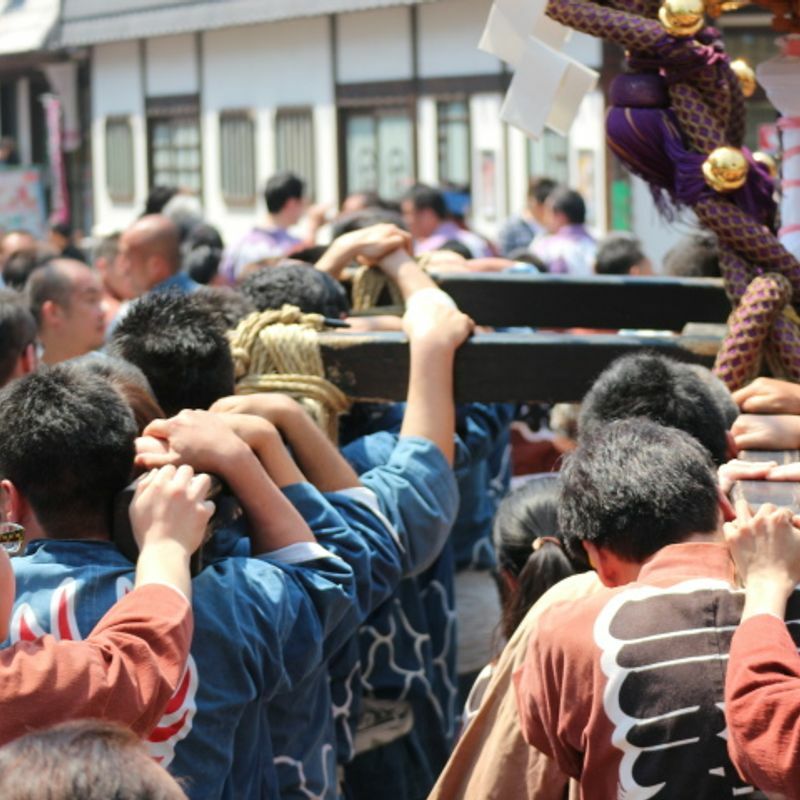 Still, it's all part of the rough and tumble at these festivals that is, in its own way, to be cherished. 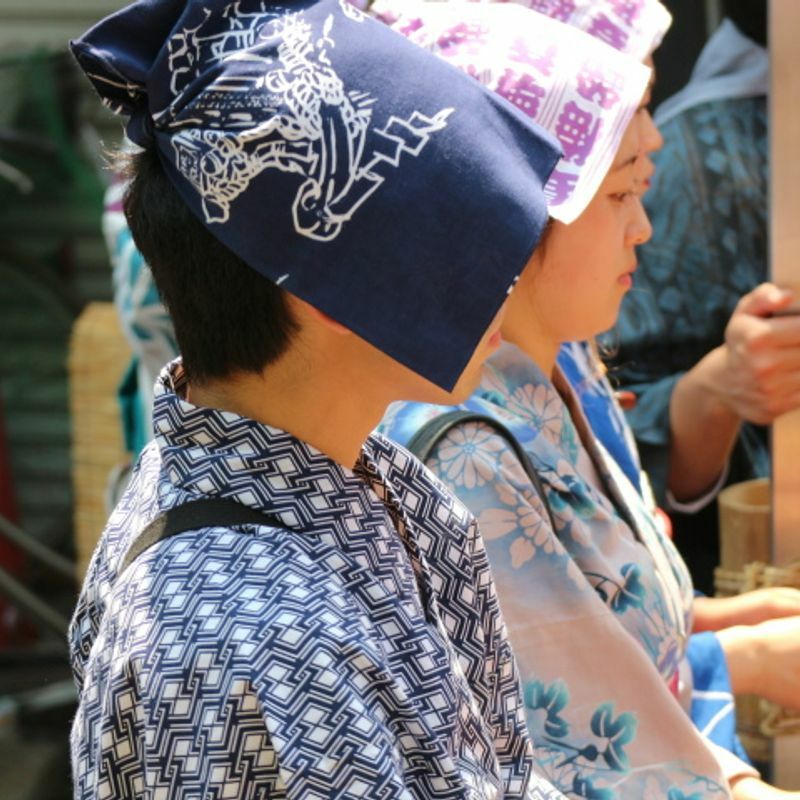 So many aspects of life in Japan are shiny, new and staffed by a tightly-cosseted, buttoned-up, well-drilled army of cabin attendants. 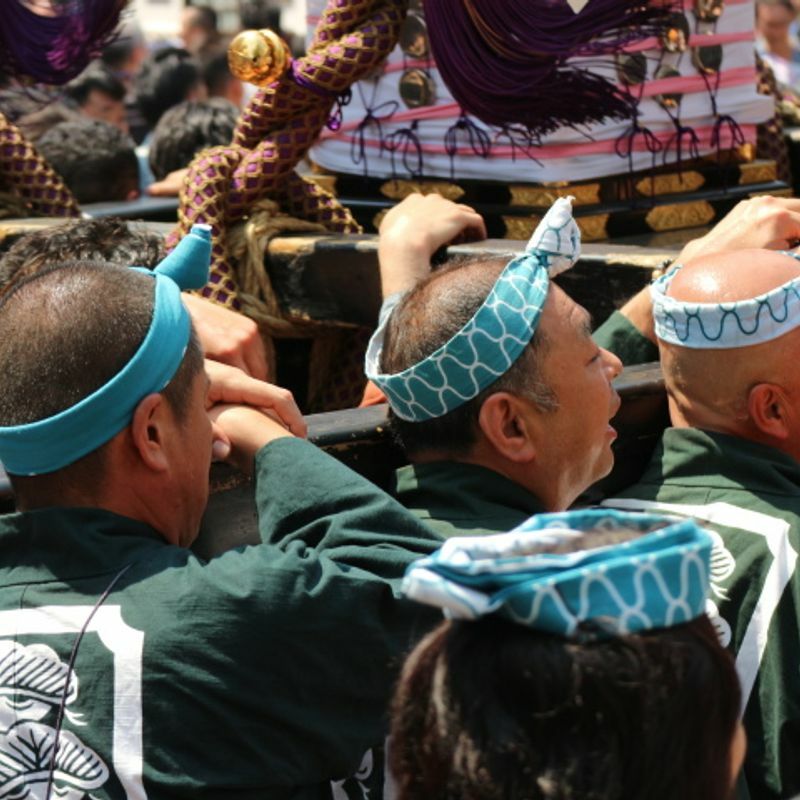 The guttural chants, the sweat, the sidewalk drinking and smoking, even the frayed tempers at festivals like Sanja Matsuri are all reassuring signs that Japan is still capable of giving a two-fingered salute to those who would have it keep up appearances at all times. 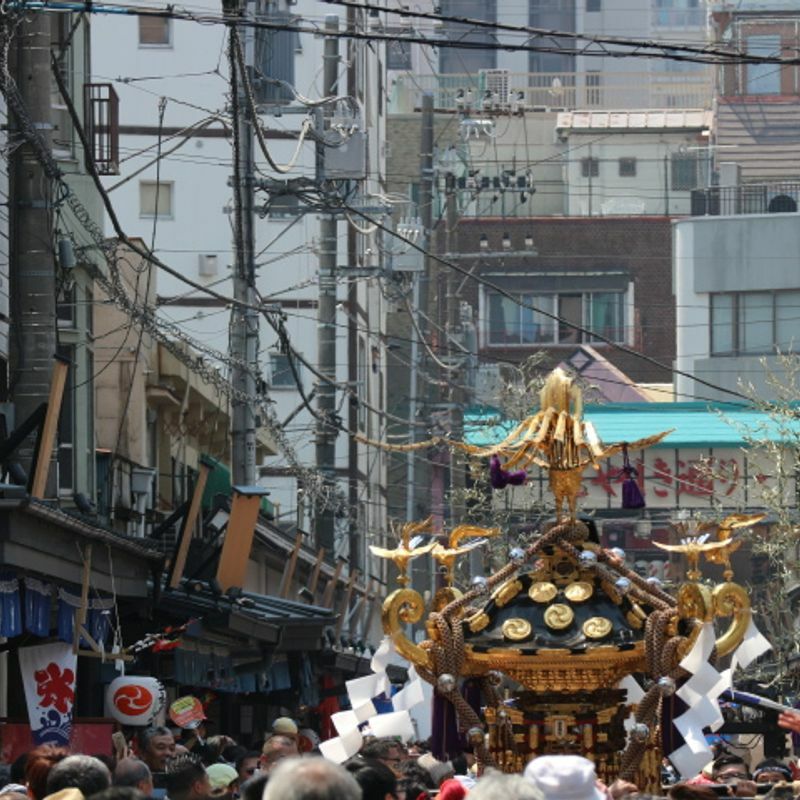 And if the crowds do become too much (although they die down once people realise there are still 90 more mikoshi to pass by) you'll find the great joy of Sanja Matsuri lies in casual exploration. 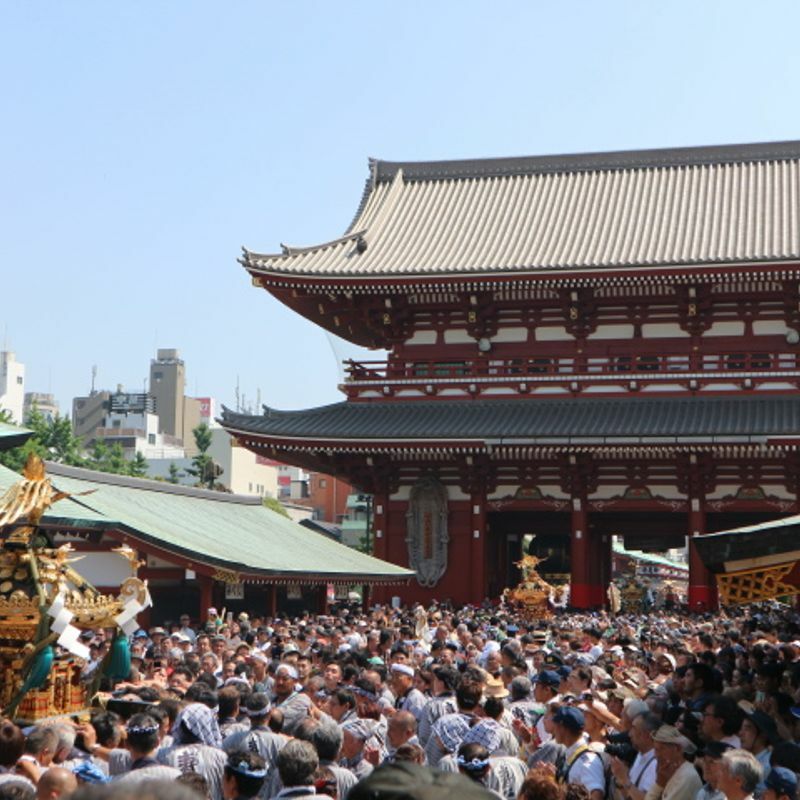 There are scenes of tradition, comradeship, a passing mikoshi, family, love, and pride scattered throughout the Asakusa streets over the three days. 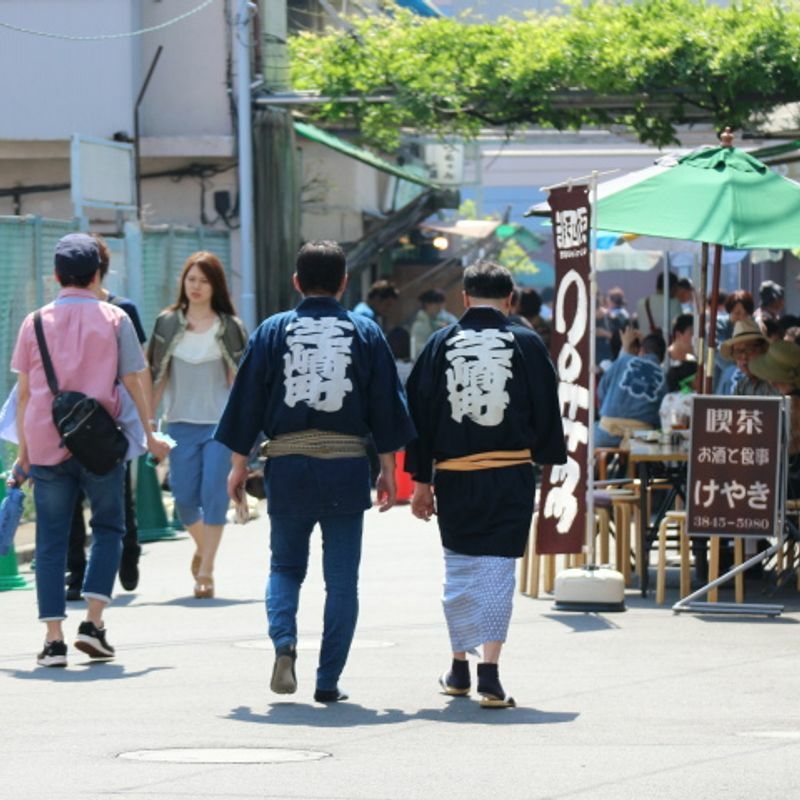 And there are enough of these scenes to go around. 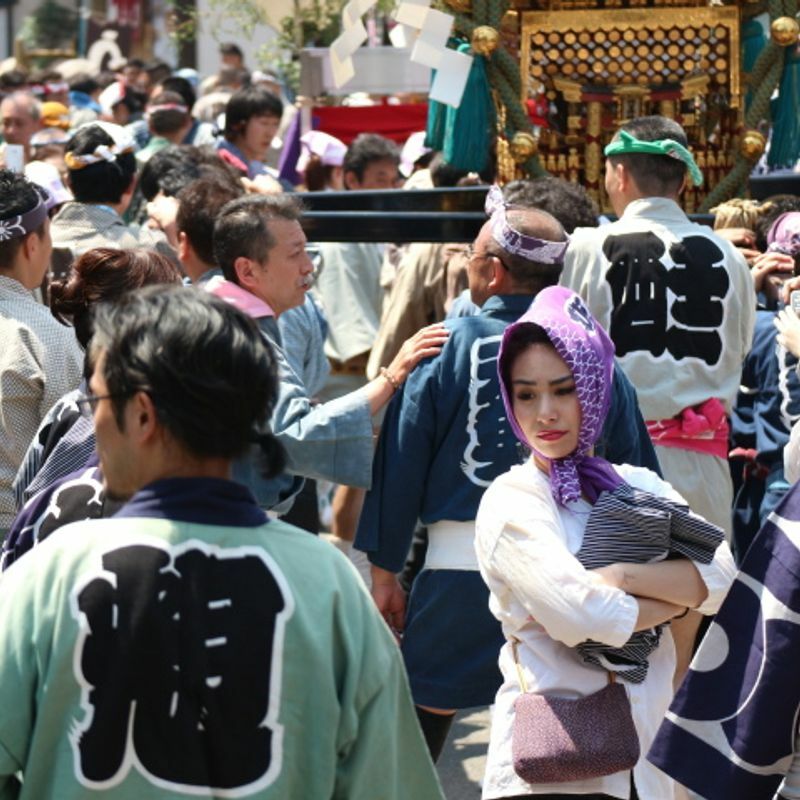 Japan does the traditional knees up very well indeed, with the Sanja Matsuri booming testament to this. 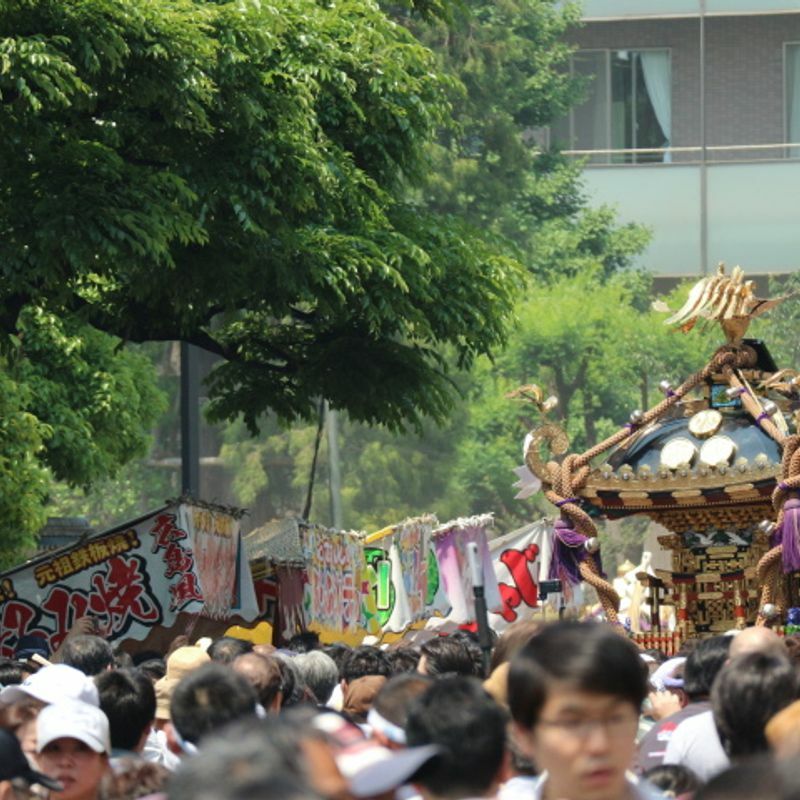 Sanja Matsuri 2017 (三社祭) kicked off yesterday (May 19) and will draw to a close on the Sunday (May 21). 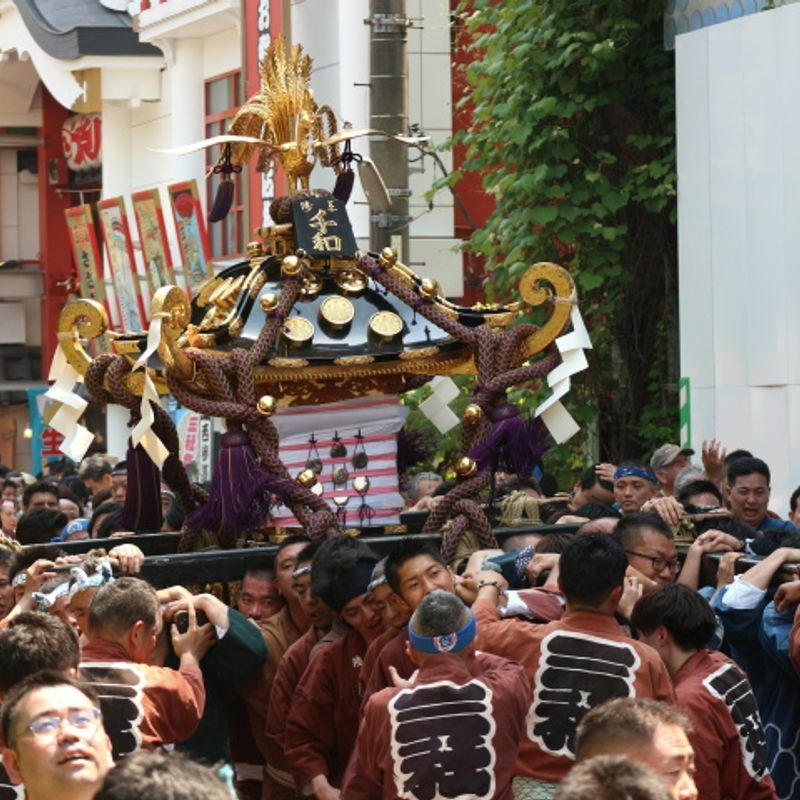 If you're reading this in time, things will get going on the final day early (around 6am) and will see the largest of the festival's mikoshi (three of them) wobble through the streets (they're very heavy) after leaving their Asakusa Shrine home. 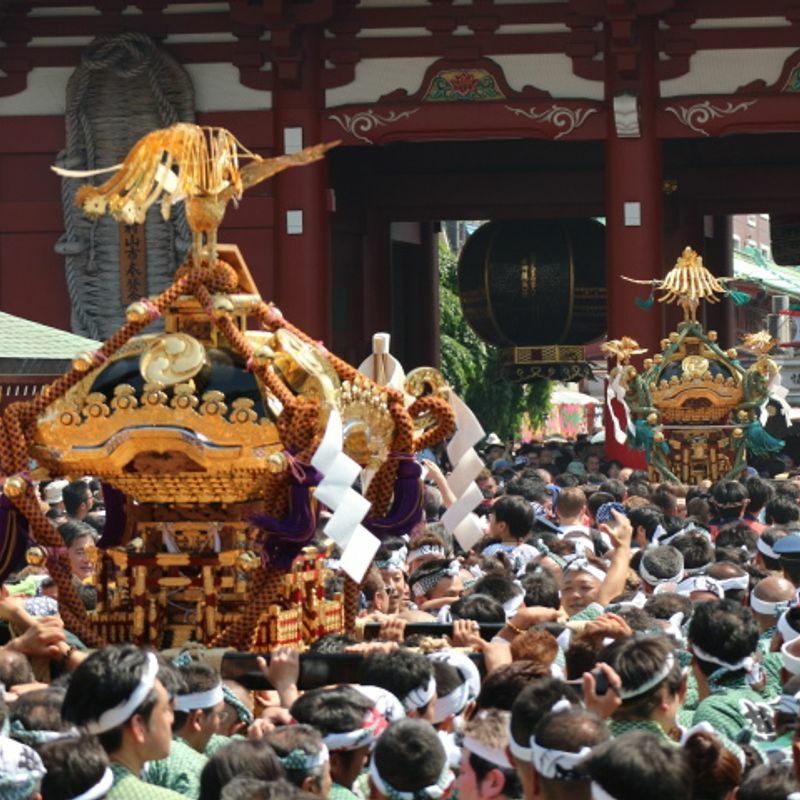 After a tour of the area the mikoshi are usually returned to the shrine between 7:30 - 8:00 pm. 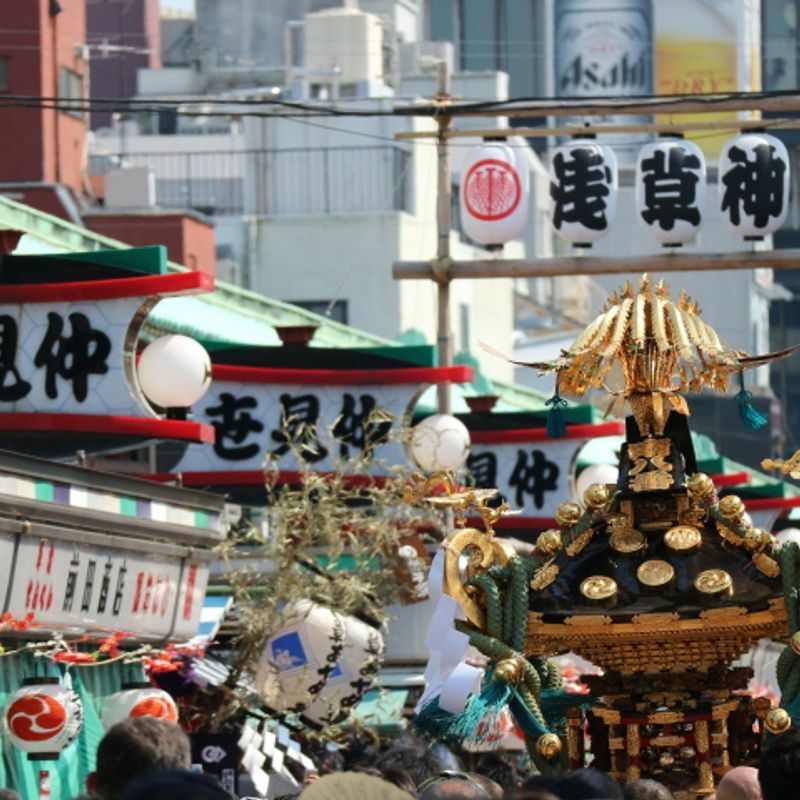 Any of the Asakusa stations will suffice for your arrival. 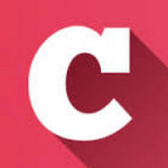 Just follow the crowds … which will be large! 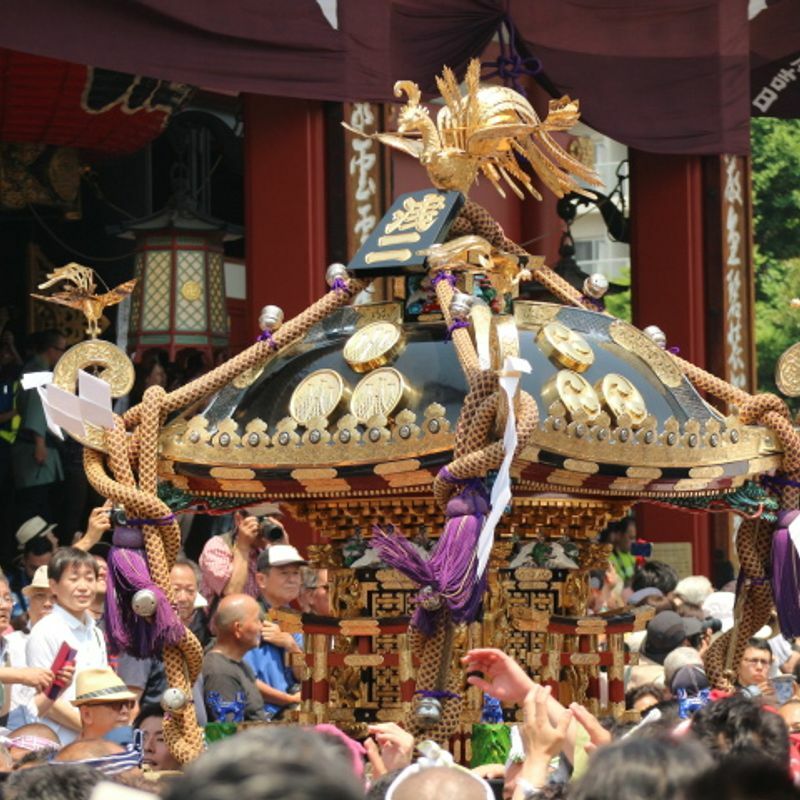 Heading to the festival this year? Already been on the Friday? 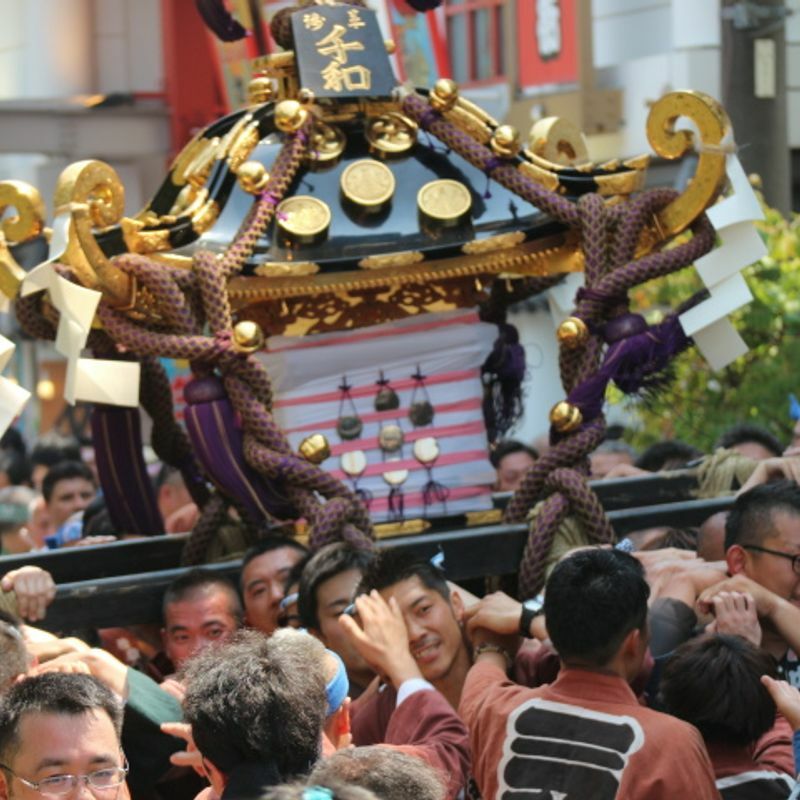 Know of any festivals in Japan that could rival Sanja Matsuri? Let us know in the comments.